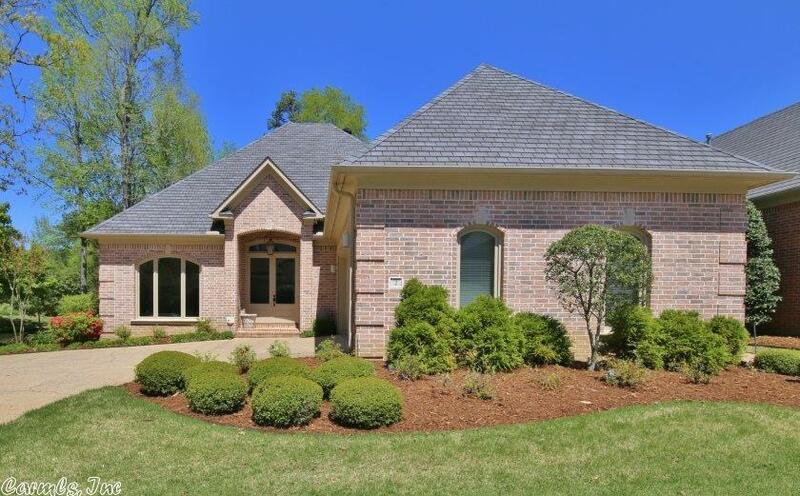 Beautiful one level home in a gated subdivision and situated at end of cul-de-sac. Lives like a patio home. Very private location. Gracious proportions with 10â & 12' ceilings, hardwood floors and fantastic moldings. Open floor plan and lots of natural light. Master suite with fireplace, luxurious bath & patio access. Two additional bedrooms share full bath. Oversized garage with golf cart bay. Partially covered patio surrounded by trees, mature landscaping and ponds in a gorgeous setting.